The world won’t be getting a real, functional actual lightsaber any time soon (at least not one that can liquify reinforced metal doors), but that shouldn’t stop anyone from imaging the physics required to build a real starship Enterprise or the laws governing a working flux capacitor. 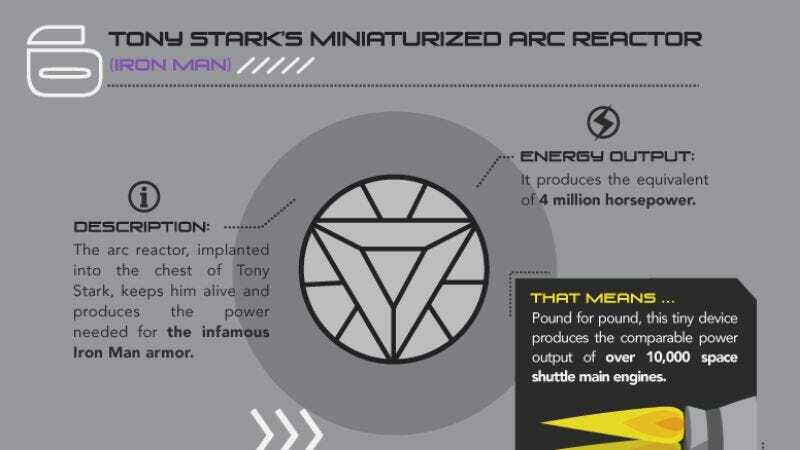 To that end, somebody has identified 10 well-known instances of fictional people and objects famous for wielding massive power, and quantified their power sources to create a sense of scale. They are also rated, with a tepid Human Torch being eclipsed by the power of the MCU’s Tesseract (a fitting comparison given their relative box-office draws). While the lightsaber is ranked second lowest, it does have the appeal of form factor. And you don’t even have to be Thor to use it. Breaking out the 7.5 tanks worth of water statistic further, anyone could conceivably use that elegant weapon to heat 12,000 cups of coffee.That seems like nothing when set against the Death Star superlaser, which apparently has enough power to output 8,333 years of our sun’s energy in a single burst. Knowing that statistic makes Darth Vader’s claim about the Death Star’s relative insignificance sound ill-informed.